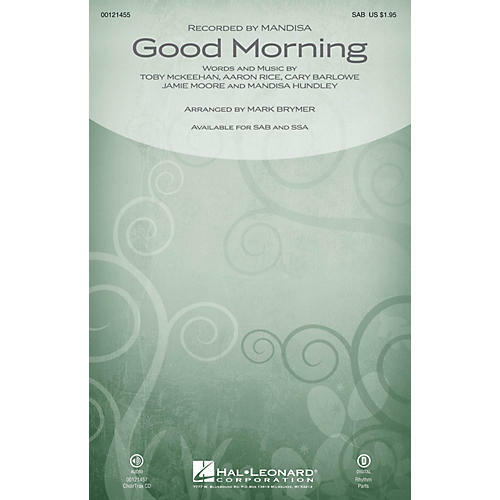 Uses: Call to Worship, Youth Choir Scripture: Psalm 118:24; Lamentations 3:23-23; James 1:17-18 Wake up to a brand new day with this fun song! With opportunities to feature a soloist, youth choir or praise team, the message that God gives us just what we need each day will ring clear. The catchy tune and positive lyrics will have everyone singing along! Rhythm parts (gtr, b, dm) available as a digital download.